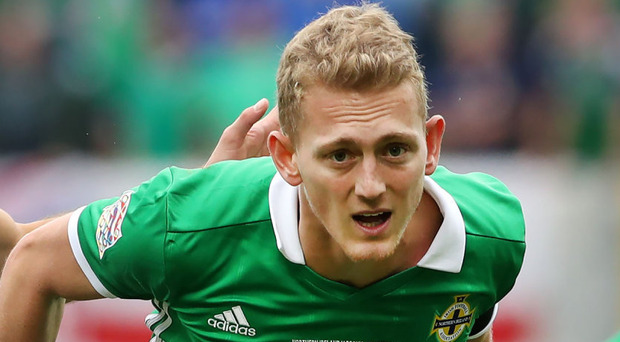 Optimistic skipper Steven Davis and midfield ace George Saville are united in their view that Northern Ireland's Uefa Nations League campaign will get back on track. Michael O'Neill's side lost 2-1 at home to Bosnia and Herzegovina in their Group B3 opener and now face an uphill fight as they prepare for an away double header against Austria and Saturday's opponents next month. O'Neill's immediate priority is tomorrow night's home friendly with Israel but hopes of making a strong start to their Nations League campaign are shattered. Northern Ireland's poor finishing returned to haunt them as Will Grigg's added time strike was merely a consolation after goals from Haris Duljevic and Elvis Saric. Southampton ace Davis admitted that defeat hurts but no one is raising the white flag at Windsor. "It's going to be very difficult for us but we have two away games and we need to set the standard of performance we expect," said the former Rangers man. "We want to get something from the games. Away from home is always a little more difficult but we will go into the games with the right attitude and mindset and hopefully we can take something from them." Middlesbrough's new £8m man Saville also claimed that Northern Ireland's Nations League ambitions aren't over. "We showed we are a really good side, we need to take that quality into the away games and get results," said the 25-year-old. "We need to pick up wins. This isn't the be all and end all, we still have the Euro 2020 qualifiers coming and it would be nice to get a good footing in this Nations League and control the group. That's why we will look to pick up wins in the away games. "We want to get a positive result on Tuesday to set us up for the October games. I thought we were brilliant for most of the game against Bosnia and we just got punished for making two mistakes." Saville is hoping for a better refereeing display tomorrow after Czech referee Pavel Kralovec ignored his penalty plea after a trip by Ervin Zukanovic. "For me it's a penalty, there's contact there and everyone could see that," he added.